With a cover-date of April 1958 and on newsstands in February of 1958, Unearthly Adventure Comics #253 concluded the tale of the Unwanted's first battle against the evil Tempus Khan. With some hand waving, the Cardiff Giant and Atomizer were not present in this issue. Yuyu, an ancient Egyptian priest of Osiris was and was "retconned" to have always been part of the team, supposedly due to the acts of the heroes in the previous issue. With his addition, the first lineup of the Unwanted was established, though not all of them were featured in every issue. 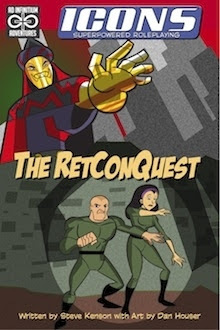 Though the comic had intended to be more science based, three of the heroes had magical origins and two had scientific. Based on the adventure of the same name written by Steve Kenson. Some text taken from that adventure. Images from that adventure as well, illustrated by Dan Houser. Adapted for the Port Henry Campaign. Katniss and Sansa's big adventure? I'm probably an interesting viewer for X-Men: Apocalypse. While I followed the X-Men and related titles throughout the 1980s, by the 1990s doing so became rather difficult, with a few gazillion interconnected X-books. I'd pretty much stopped trying to follow the X-books by the time Apocalypse became a major character. I'd witnessed him in the early issues of X-Factor but that was about it. With that background, my wife and I saw X-Men: Apocalypse this evening. Though I could certainly nitpick, in broad strokes we both enjoyed it. 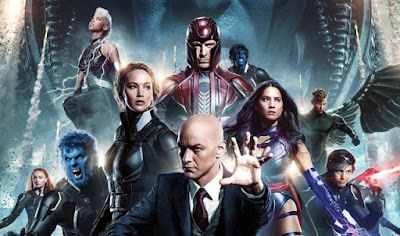 It takes place in 1963, twenty years after the events of X-Men: First Class and ten years after the events of X-Men: Days of Future Past. I must say the protagonists are aging extremely gracefully. They are for me. "Why?" he asked Pate. "What am I to them?" "A knight who remembered his vows," the smith said. Oddly, I've never gotten around to reviewing any of George R.R. 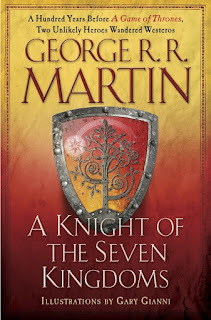 Martin's A Song of Ice and Fire saga. With season six of HBO's Game of Thrones on the air I've been reading many things Westeros of late. The main saga is legendary for it's brutality. Main characters drop like flies. The reward for being honorable is often death. A Knight of the Seven Kingdoms shines a small ray of hope into the lands of Westeros. It takes place about a century before the events of A Game of Thrones. It is a collection of three short stories about the hedge knight, Dunk (Ser Duncan the Tall) and his squire, Egg. 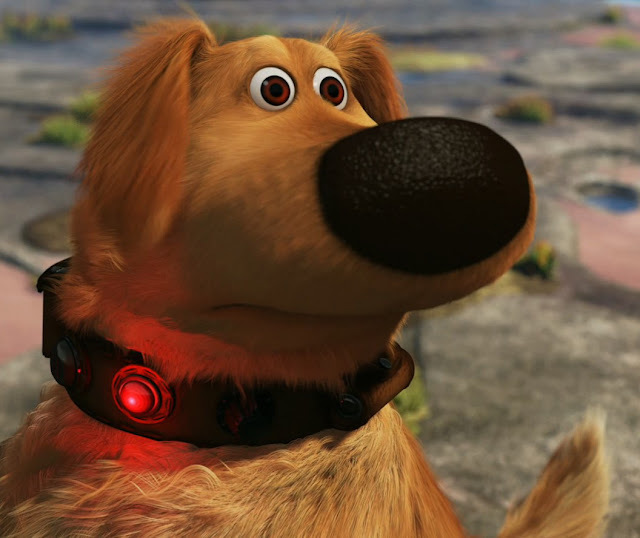 At this point I'll pause to point out there's going to be some spoilers up ahead - not huge ones, but minor spoilers. My group was discussing a bit about how to make Icons combat a bit more comic-like. It's not so much a matter of house rules as making full use of the rules as written. What I decided to do was a mock combat of one of the PCs vs an Icons-adapted Herzou Demon. US-Polaris 1 is a space probe launched in 1957 that was "upgraded" by mysterious aliens. It has telekinetic abilities, albeit subject to burnout. The demon has a nasty bite, some great armor, and a chaos blast that does both damage and dazzles. They are atop an elevated train working its way through Port Henry. The demon wants to get into the front car to cause some sort of accident, US-Polaris 1 wants to stop it. One of the advantages of being in grad school part time, from a gaming perspective, is it is awfully good at keeping me laser-focused on whatever game we are currently playing. Of course it does so by keeping me so busy that there's little time for anything else. For those keeping track at home, I'm enrolled at Brandeis University for my Master's Degree in Strategic Analytics. I'm learning all about data science, data mining, big data, predictive analytics, etc. Right now I'm between semesters, with the next semester starting up next week (and running for ten weeks). With Port Henry having at least a skeleton (with a lot more mapping than required, but maps are a hobby) I've had a little bit of time to do a bit more noodling around in reading and thinking gaming thoughts. Based on the adventure of the same name written by Steve Kenson. Some text taken from that adventure. Adapted for the Port Henry Campaign. Cast of Characters Robert Builder/The Atomizer - Reporter for the Port Henry Times-Herald, nuclear man granted powers by Trinity nuclear test.Susan Samiel - Widowed reporter for the Port Henry Times-Herald, sorceress. Specializes in binding magic.Heiro Silver Wave/The Cardiff Giant - immortal child of a Delaware Indians and Greek Titan. Able to grow in size and drain energy.US-Polaris 1 - Robot space probe invented by Jack Parsons. Altered by aliens and now possessing telekinetic abilities. The news worked its way through my newsfeeds this morning - Darwyn Cooke had passed away at the age of 53 due to an aggressive cancer. Cooke was one of my favorite writers and artists. When I discovered DC: New Frontier I was in absolute awe. He took the Silver Age of DC Comics, an era renowned for its goofiness, and ran with it, telling a mature story while someone remaining true to the original tales. New Frontier is the main reason my current superhero RPG campaign is set in the late 1950s. Earlier this year I reviewed that work. Though comic books exist as a visual medium, I tend to look first for writers before I look for artists. Cooke was an exception. I'd read anything he was involved in. His drawing style was distinctive, unlike anyone else I can think of in the industry. His tales were of real people - real people even if they were from Mars or Krypton. In the dark ages prior to the internet, learning about new games was extremely challenging. If no one in your circle was familiar with a game you depended on magazine reviews, advertisements, or your own purchases to learn about new games. 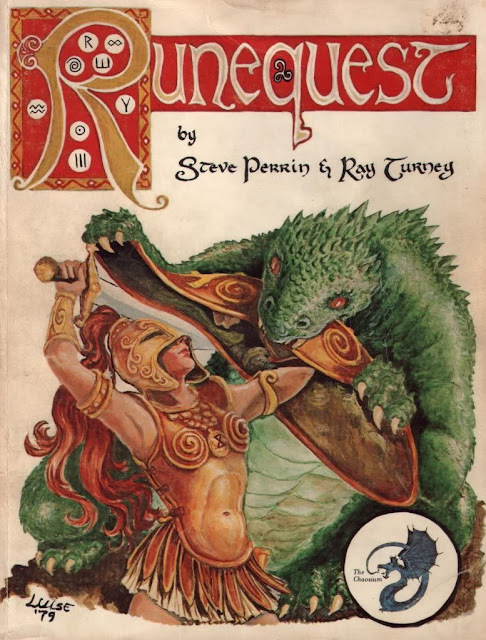 My circles did not have anyone familiar with RuneQuest. There was a lot D&D and its variations and some people I knew played a lot of FASA Star Trek. I found my way to Chaosium games through a roundabout journey. The March 1985 issue of Dragon magazine featured "The Dolphins of Known Space", detailing Dolphins for Chaosium's Ringworld game. I was unfamiliar with both the game system and its setting but was intrigued by both and wound up checking out both the game and the novel. In the Icons games I've run thus far I've found myself stumbling a bit on task resolution levels of success and in adjudicating slams, stuns, and kill results. Additionally I've found we've not been doing much with Determination. While Determination isn't as important in Icons as Fate Points are in Fate, I'd still like to get some use out of them. With that in mind I've gone ahead and made a simple PDF capturing these essentials. I figured it might be handy for other folks so enjoy! 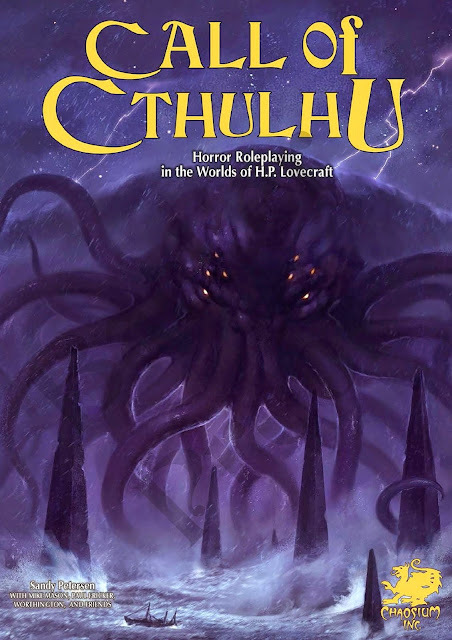 The Stars Are Right: Call of Cthulhu 7th Edition Arrives! Clearly Chaosium took some of the early reports of damaged books seriously. 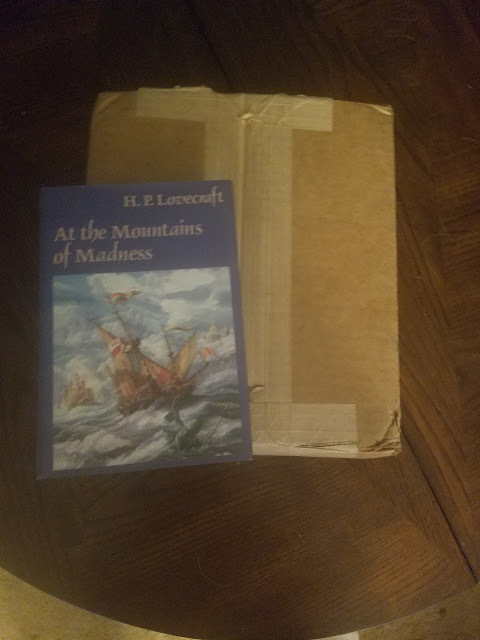 Either that or they shipped me a box of cardboard. One of my issues with Batman v. Superman: Dawn of Justicewas it was so damn grim. 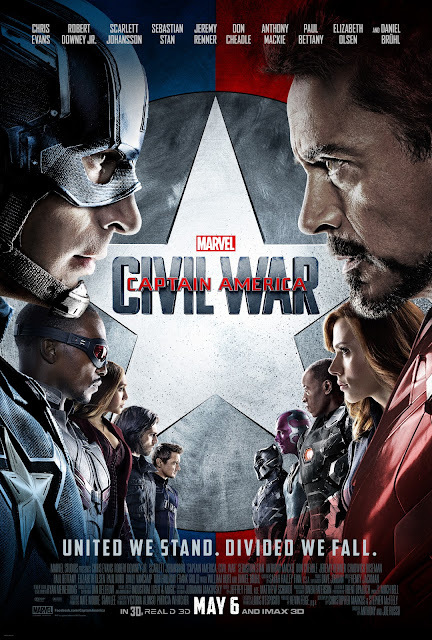 Captain America: Civil War deals with a similar idea - superheroes finding themselves on opposing sides. I think Civil War handled it better - partly because these were characters we've come to know and partly because Civil War was able to mix some light-hearted moments in among all the gloom. Beyond character generation, we've had a pair of sessions running Icons. How is it going so far? I'd say early indications are decent, but the jury is still out. Which, to be honest, is better than my normal track record with superhero gaming. For whatever reason, while I greatly enjoy the superhero genre, I have an incredibly difficult time getting a campaign going in it. As I've mentioned in the past, Icons is a close relative of the Fate RPG. For task resolution you roll a d6 plus some stat and subtract from that the opposition's ability plus a d6. To be honest, the task resolution system isn't doing a ton for me - I suspect because we're doing it on a virtual tabletop. I'm leaning pretty heavily towards using the optional rule of using the task resolution from the original version of Icons, which was Stat +1d6 - 1d6 vs. a difficulty. Mathematically it's the same but involves only a single roll. With a cover-date of February 1958 and on newsstands in December of 1957, Unearthly Adventure Comics #251 is regarded as that title's first Silver Age entry. Generally considered to have been written in reaction to the recent Sputnik space launch, it featured exciting new characters such as a robot space probe and an atomic man. As a reminder to the mystical tales it was best known for in the 30s and 40s it also featured a mystical sorceress and an immortal descendant of Greek Titans.